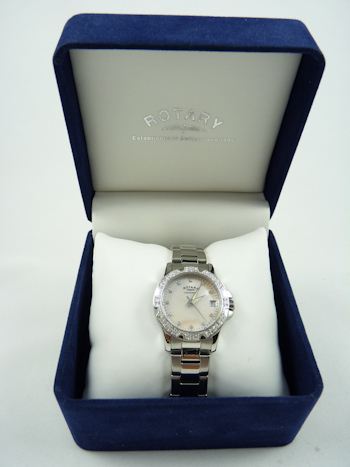 Bezel set with stunning 68 Austrian Crystals framing a Luxury Mother of Pearl Face enhanced by 11 further Austrian hour marker Crystals. 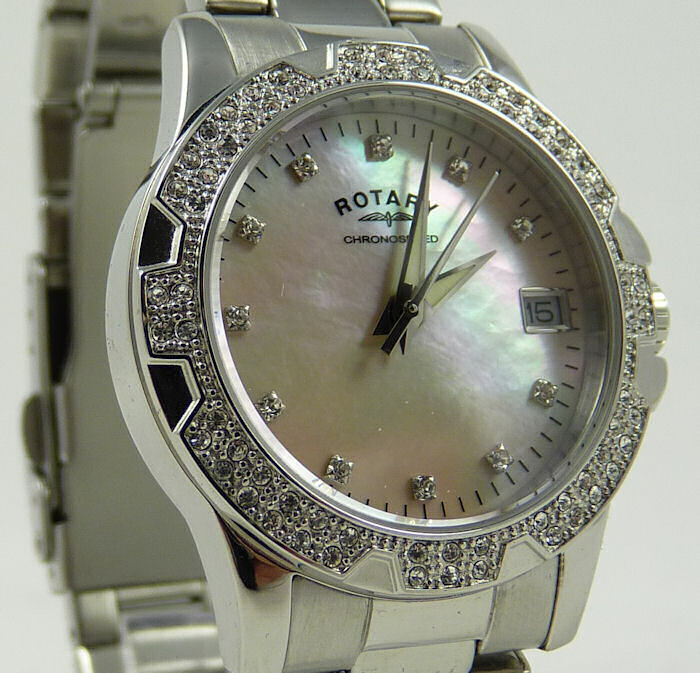 The 77 individual Austrian Crystals which surround the exquisite Mother of Pearl face Sparkle and Shine as they catch the light makes this delicate watch a real eye catcher, complemented by a lovely Stainless Steel Bracelet. 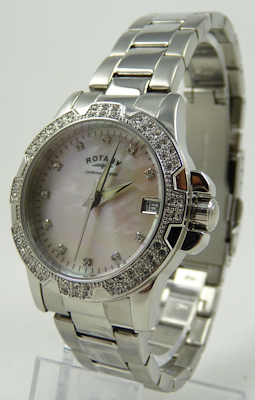 Circular bezel set with 68 Austrian Crystals. 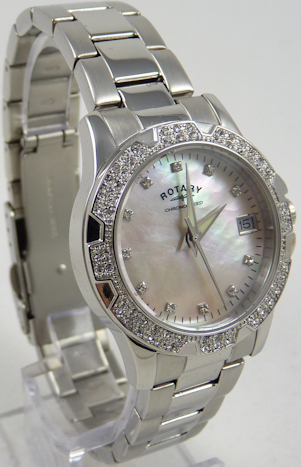 Mother of Pearl dial with 11 Austrian Crystals. 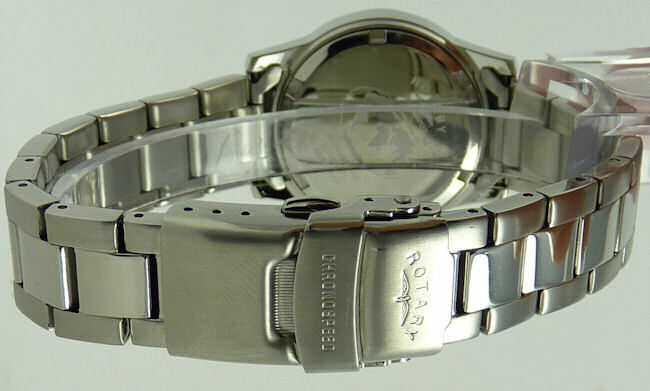 Stainless steel bracelet and round case.